Reshard has a background in mental health, education, criminal justice, law enforcement and the charity sector. A Magistrate since 1989, he sits in criminal and family courts in North London. He was the vice chairman of the Metropolitan Police Authority until 2012 and in that capacity served on various criminal justice bodies in London. He was a non-executive director of the Assets Recovery Agency and a trustee of a Muslim educational charity for over ten years. 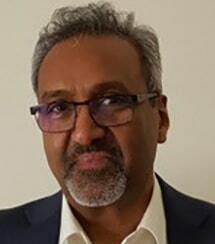 He is currently a non executive director on the Board of the National Crime Agency and a member of the Audit Panel of the Mayors Office for Policing and Crime. He also runs a business in the mental health care sector.